You know what comes out on Tuesday, September 14? Halo: Reach, right, but besides that? 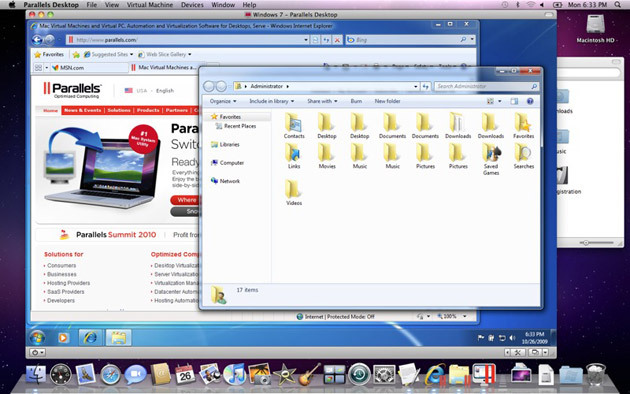 Parallels 6, the virtualization software that makes certain Mac users’ lives a little bit easier. It runs on 64-bit processors this time around—woo! Apparently there’s 80 “new and improved” features, all of which contribute to a 40 percent faster application. Let’s see, what else do we have here? It looks like there’s support for 5.1 surround sound. Spotlight integration with Windows has been improved as well, as have 3D graphics performance. Probably best of all: built-in Kaspersky anti-virus software. Lord knows you’d be a fool to sure the Internet on a Windows box without any sort of anti-virus software. It looks to be $80 full-price, or $50 if you’re upgrading from a previous version.